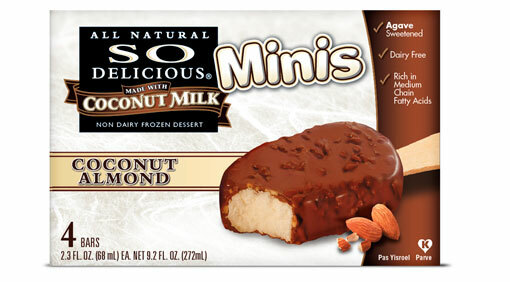 One of the things I miss since I stopped eating dairy is ice cream. I tried some soy versions and they tasted horrible. Today, I tried a bar by So Delicious. It tasted so much like real ice cream that I could barely tell a difference. It was creamy and covered in chocolate…what more could I ask for? Yes, I know. I’ve gotten it for guests, but I drink my coffee black.